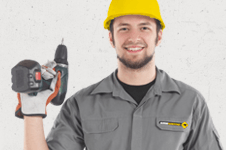 Check Out Our London Handyman Reviews! Take a look at some of our most recent London handyman reviews below, or continue browsing our site to find more about our range of expert services and our highly competitive prices and special deals. See feedback we get from our handyman services and you’ll begin to understand why we’re such a popular choice in the capital! Call us now - on 020 3746 0607 - to discuss how to hire our services, or to learn more about our London handyman testimonials. We have a team of customer care professionals who are standing by to assist you 24 hours a day, 7 days a week. As well as our service hotlines, you can reach us through our instant web chat support feature, or request a call back by filling in our online booking form. We offer free, no-obligation quotes on all of our services, so get in touch now to make your booking right away!